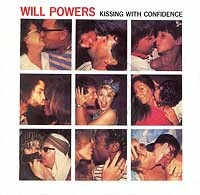 Will Powers was the stage name used by celebrity photographer, Lynn Goldsmith, when she created a self help comedy music album. The album, entitled Dancing for Mental Health, uses affirmations set to music to poke fun at the self help entrepeners who "build the listener's inner self and encourage personal growth through the thought that anything is possible". Will Powers is portrayed by Goldsmith during the spoken word sections as well as in the sung sections; her voice processed through a vocoder. Key musical collaborators were Jacob Brackman and Steve Winwood. Additional contributors to the recording include Sting, Nile Rodgers, Todd Rundgren, Tom Bailey, and Carly Simon. 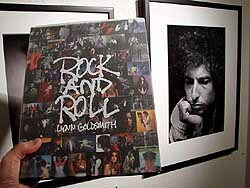 Before and after those early '80s days, Lynn Goldsmith perfected her talents as a multi-awarded winning portrait photographer whose work has appeared on and between the covers of Life, Newsweek, Time, Rolling Stone, Sports Illustrated, People, Elle, Interview, US, Bunte, Paris Match, etc. Her subjects have varied from entertainment personalities to sports stars, from film directors to authors, from musician candids to record cover artwork, from the extra-ordinary to the ordinary man on the street. Her forty years of photography have not only been an investigation into the nature of the human spirit, but also into the natural wonders of our planet. I recently had the opportunity to speak with 'Will Powers' aka Lynn Goldsmith about life back then and life today. Back in 1983 you released a single that became an instant hit in the UK, 'Kissing With Confidence.' Under the stage name of Will Powers, it reached #17 on the UK singles chart, and possibly started a whole new teeth cleaning revolution at the same time! So, just where did the inspiration for 'Kissing With Confidence' as musical subject matter first originate? "Kissing was a big topic for those of us who were teenagers in the early 60's - everyone wanted to be a good kisser - so how do you do that? Confidence ... watch movies and copy what screen stars do - believe you are beautiful - in Will Powers' world confidence is one of the keys to a successful life. So is good kissing." And, for that matter, when did the stage name Will Powers first 'walk' into your life? "Will was always in my life - I just did not know how to share "it." Choosing to record the deeply masculine spoken parts yourself, using nothing more than a vocoder/harmonizer to electronically alter your voice, was it always your intention to fool the public into believing that Will Powers was actually a man - and not a woman? "I was never trying to fool anyone - I wanted a voice that was neither male or female - I wanted to be the inner voice." And, in truth, was Carly Simon also singing on 'Kissing With Confidence'? "I was going to sing lead on that song, but Carly really wanted to do it. I figured that since she grew up at a time in America when having a big mouth, big lips, was not attractive (Carly even stuttered as a young girl), that she was more appropriate to be the lead. Carly was someone who had had very little confidence. She also has a way better voice than me. I sang back-ups." One of the lyrics goes: 'I put an end to worrying, I learned a THE way from Will. He taught me kissing with confidence is an acquired skill. When boyfriends get too hot - I can cool 'em down, now I'm kissing with confidence everywhere in town.' People say that mentioned in that lyric is a Vince Clarke/Feargal Sharkey liaison, which was part of Vince's The Assembly project ('It Never Happens To Me') - true or false?! "I have no idea who Vince Clarke is, or the Assembly Project...!" Your music videos back then were the first to use 3-D computer animation! Wow, perhaps that's where James Cameron got his idea from! How was this conceptual idea first promoted to you and were you on board instantly with the idea or hesitant? "It was my idea. My videos were part of my music - they were never made to be a commercial for the music. I thought of myself as an optic-music artist. The Videos could stand on their own, the music could stand it's own - I was the first person to do 3 dimensional computer animation that I did with the NY Institute of Technology." Being that the hit single came from your self help comedy music album, Dancing for Mental Health, in reflection why were no other tracks such monster hits - making, for all intents and purposes, Will Powers a classic example of a One Hit Wonder? "Lots of reasons - Island changed their distributor - my manager died, no promotion - the reason I made a "testimonial" version of Adventures in Success is because I was supposed to appear on Top of The Pops and Island promised them an exclusive (they did not tell me that) - they booked me the morning before on a childrens show and so Top of the Pops cancelled me - so I made a special video for them that Island never even gave to them to see - I guess it just wasn't my fate!" 'Kissing With Confidence' then became a favorite of Arsenal football club, who began to play it before their home games! I'm a HUGE Arsenal fan, have been since birth, but can't remember that song being played. Were you ever invited to Highbury to watch a game and heard it yourself come across the speakers, perhaps? "Yes I went to a number of games and sat in the Directors Box with Barbara and David Dein. Every game they played my song they lost - so I thought it a good idea that they stop playing it." 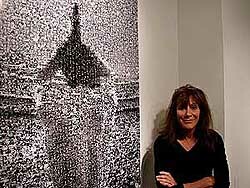 Being that you were, and still are a top American photo journalist, one that spent her life chronicling the antics of musicians, you even became Bruce Springsteen's girlfriend for a long period of time. How did that come about and what fond memories of it do you still cherish today? "None of your business!" After all that pop fame whirlwind wound down, you didn't (musically) get back on the old fame horse - why? "I am not interested in fame. I am interested in doing work where I am always learning something. Fame might get you a table at a hot restaurant without a reservation, but I think it limits your experience as a person." Fun Five - OK, it's now time to fire off some quick questions - to allow those that think they know Lynn Goldsmith (Will Powers) to perhaps think again! a) Can you remember your very first TOTP appearance? What song/year was it and at what level of nervousness were you at that whole day? "Never happened!" b) Is there anything about that hit single that you would change today - a line/lyric from it, perhaps? If so, which one and why? "No - I think it's perfect - I would like to make some new mixes but not because I don't like it the way it is. I'd do it just cause it would be fun." c) Do you have a recurring nightmare or dream - and if so, how does it usually end? "No recurring anything - that's boring!" d) What is your sweetest, guiltiest pleasure (food wise!) late at night? "I'm not guilty about it - hot chocolate!" e) If you could meet any deceased celebrity, who would it be - and what would be the first question you would ask them? "Jesus Christ - can I follow you around with my camera?" Born in Detroit, MI (USA), do you ever find your way back here - and if so, what are your favorite places to re-visit each time? Indeed, if you could sum up Detroit in just five words, to encourage others to come visit, what would they be? "Not as often as I would like. 5 words - real, resoucerful, strong, loyal, and soulful." Lastly, and throwing you a journalistic curve ball, Exclusive Magazine loves Penguins (the flightless bird, not the chocolate bar!) ...do you? "They are very important to me. I go to the zoo in central park and watch how they play as a group. I want to photograph them in their natural habitat one day." 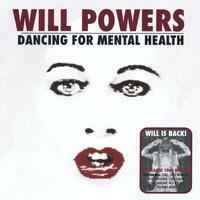 So, if you would like to win a SIGNED copy of Will Powers CD, 'Dancing for Mental Health,' just answer this easy question: Who is the lead singer on the song 'SMILE'? !